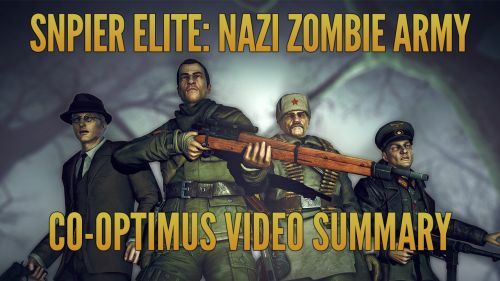 A quick video showcasing the co-op play in Sniper Elite: Nazi Zombie Army. This standalone expansion to the Sniper Elite series contains 2-4 player online co-op where players must face off against the hordes of zombies plaguing Europe during World War II. Page created in 1.2968 seconds.